Walcon Marine constructed the Albany Waterfront Marina for LandCorp in 2011. 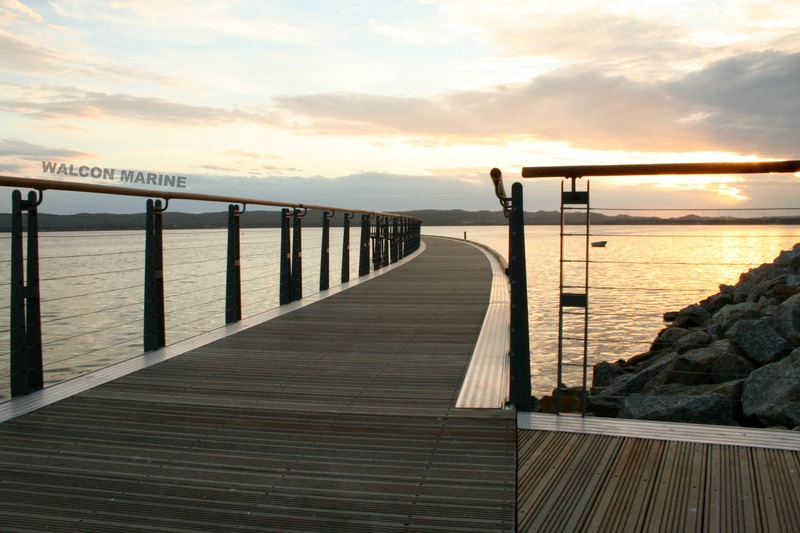 This project consisted of a 74 berth marina, charter boat berths, boat ramp and two separate fixed jetty structures. All structures were decked out using natural timber, whilst the marina featured Patron Power pedestals. These pedestals provide power and water to each individual berth and, as a result, were warmly welcomed by the Albany boating community. The fixed structures within the project scope include a fishing platform and also the Pier of Remembrance curved jetty structure. Albany is located approximately 400km south of Perth and is one of the southern-most towns in Western Australia. Interestingly, Albany is WA’s oldest colonial settlement, predating Fremantle and Perth. Further to this, Albany is also known for its rugged coast line and heritage.